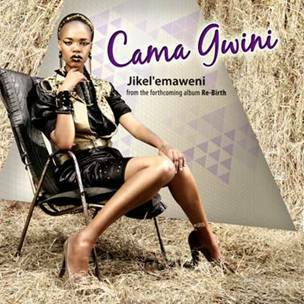 Cama Gwini has release a new single titled ‘Jikel’emaweni’ from here upcoming album called ‘Re-birth’. The album is said to portray shows a distinct and deliberate move towards a sound that is more global, pop rock, yet soulful and smooth. Her African pedigree is still evident in her vocal improvisation, and sparse chants, that always seem to sneak in a manner that will inspire graceful dancing, which is both courageous and liberating at the same time. The sound and image have changed to embrace the Re-birth of Cama Gwini.